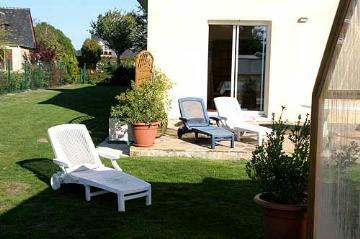 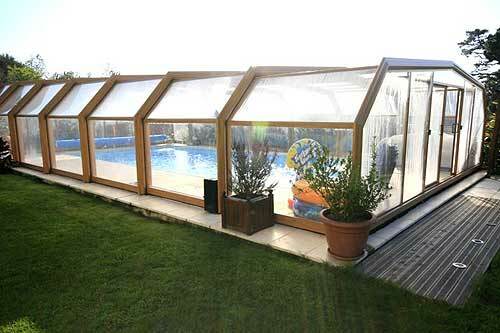 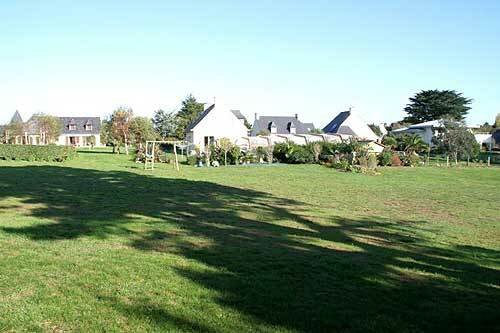 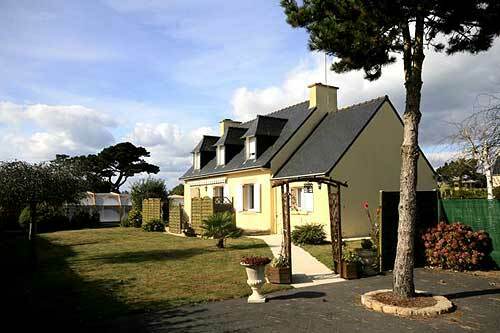 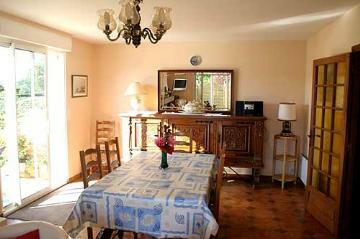 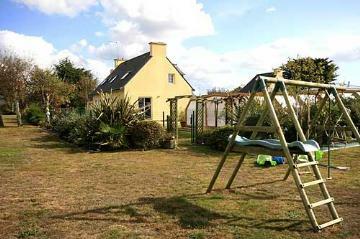 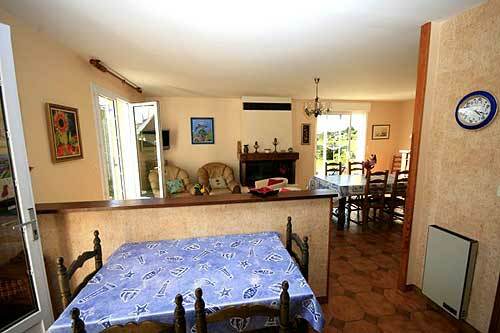 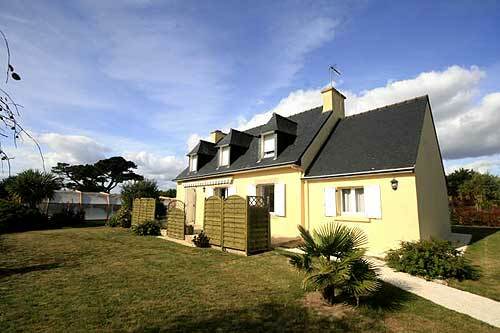 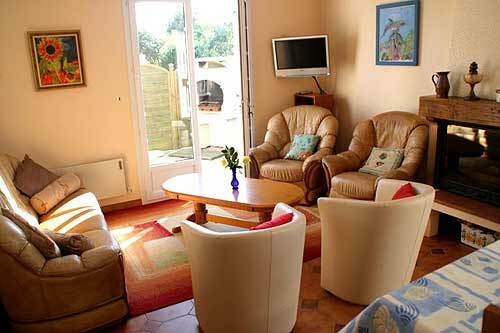 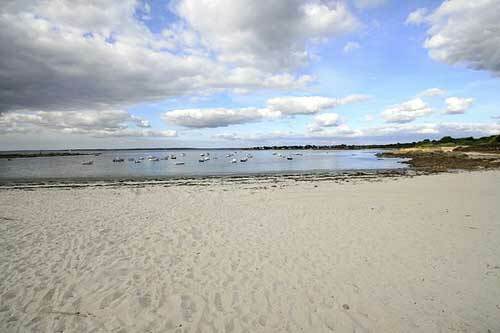 Villa in south Brittany with heated, indoor pool and garden and direct access to the beach. 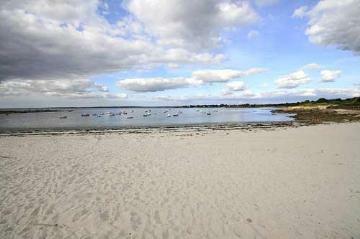 Beach 70 metres. 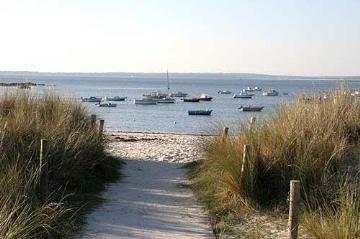 Sailing club 100 metres. 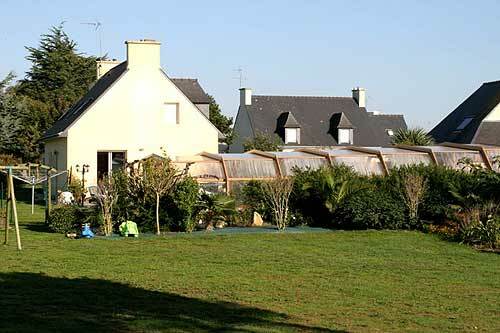 Shops and restaurants in Tregunc 3km. Riding 10km. 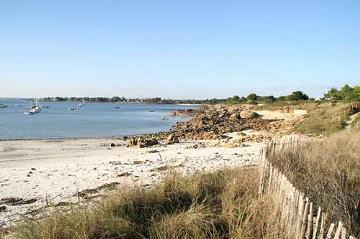 Quimper 40km. 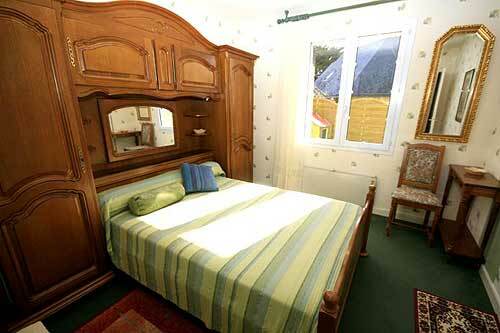 The upper floor has a double bedroom (1 x 140cm wide bed), twin bedroom (2 x 90cm wide beds) and a single bedroom (1 x 90cm wide bed). Bathroom and separate toilet. 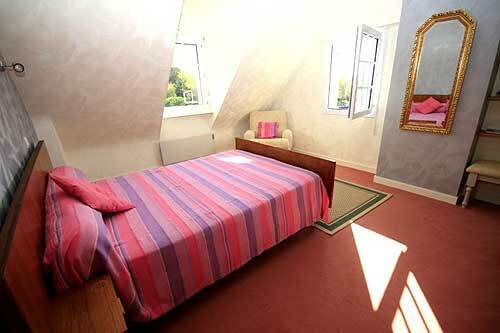 One of the bedrooms has a sea view. 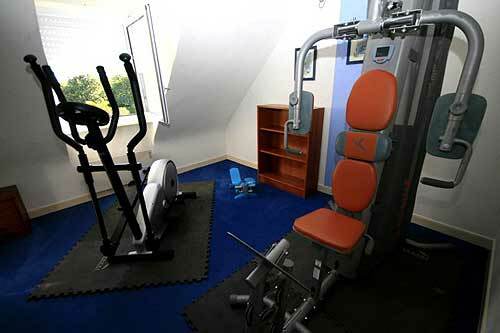 Exercise room with gym equipment. 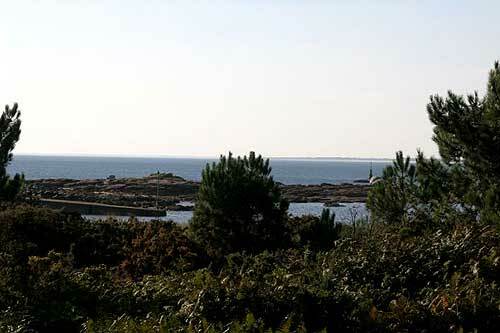 The ground floor has an attractive, comfortable living and dining room (40m²) which overlooks the garden on one side and the sea on the other, it has a fireplace and is equipped with satellite television and DVD player. 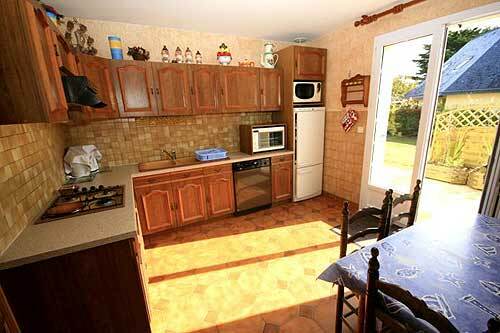 Fully equipped, open-plan kitchen with oven, microwave, dishwasher, fridge/freezer, toaster, kettle, electric kitchen appliances etc. Laundry room with washing machine and dryer. 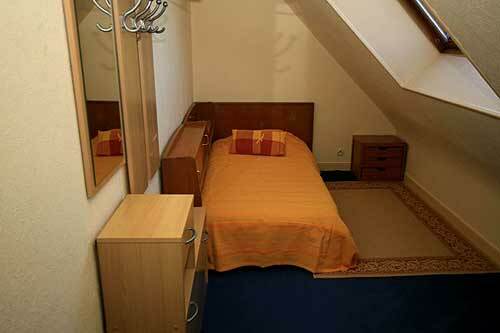 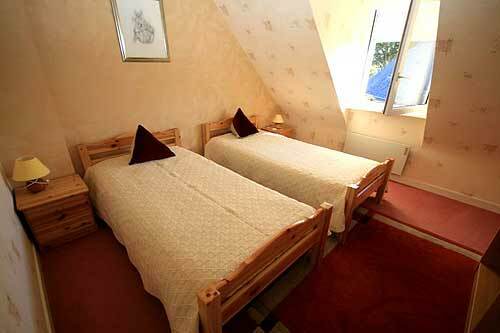 Double bedroom (1 x 140cm wide bed), bathroom and separate toilet. 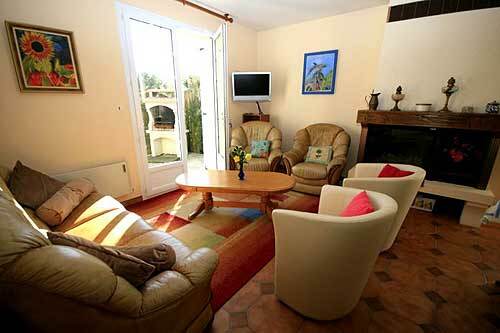 The décor in the villa is pleasant and practical, it is well equipped and comfortably furnished. Outside there is an open terrace with a barbeque and furnishings for outdoor dining. The very large enclosed garden has a lawn and mature trees, ideal for families with children or a group of friends. 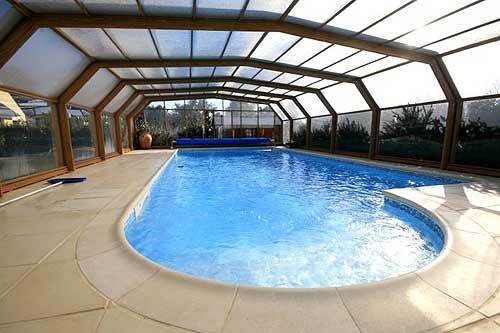 The large indoor pool is set right next to the villa and there is a table tennis table. The location of this villa is outstanding as there is a direct access, just 70 metres, to the beautiful beach. 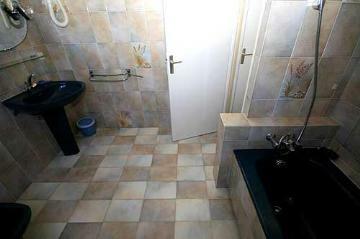 Property made available in good order and fully equipped. 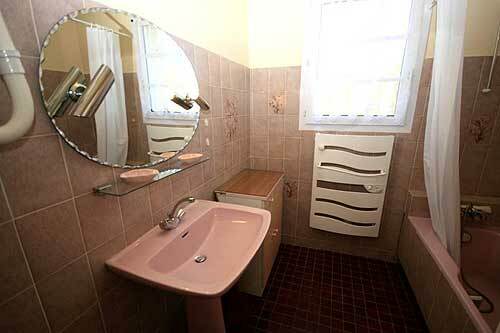 Linen and towels (not beach towels) included. 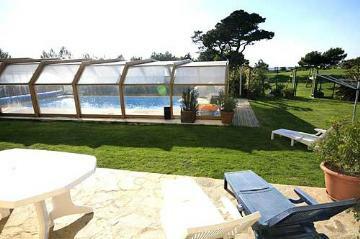 Local taxes (unless specified otherwise in the villa description), reasonable consumption of services including water, gas and electricity. 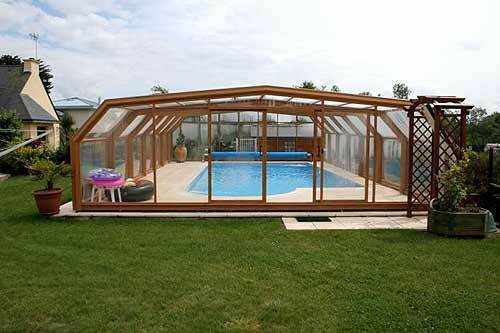 Garden and swimming pool maintenance. Refundable cash deposit €700 payable locally. Heating for the house and firewood. Additional services (where available) including cleaning, babysitting (15€ per hour) and cooking.